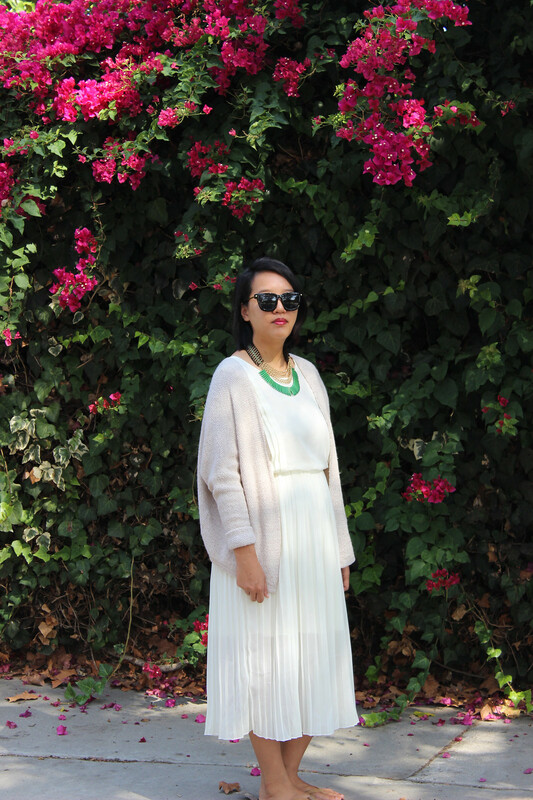 Dress c/o: Zaful, Sunglasses c/o: Polette, Cardigan: Brandy Melville, Necklace c/o: Wantable. For those of you who didn't already know my hair is officially short! I cut my hair back in August, and there aren't that many pictures on the internet with my hair this short! It feels good to have this a-line bob, but at the same time it's a pain because I need to straighten my hair out in the back if I want my hair to not stick out. I've been loving this white dress! Even though it is past Labor Day, I'll still wear this dress. I mean since it's still like 80+ degrees in SoCal, it's like ehh... Why not? For those of you who are curious, even though on the description of the dress it says beige, it's more of a vanilla color. 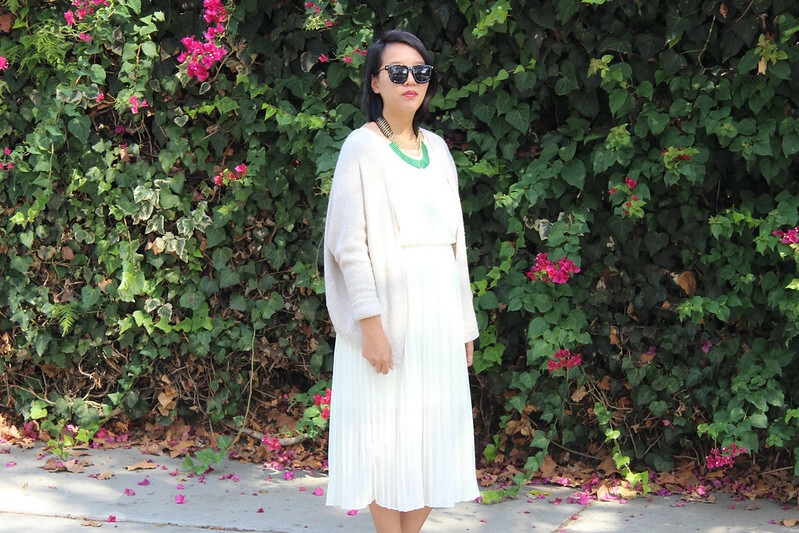 I actually don't have anything this white in my collection of dresses. I was trying to recreate Anneorshine's skirt from Rome that she was wearing, but this comes in pretty close.